BRAHMAPUTRA TOURS IS AN EXPERT IN TRAVELS IN NORTHEAST INDIA. For several years we have organized various tours in the "Seven Sisters". We offer different kinds of tours in Arunachal Pradesh, Assam, Nagaland and Tripura. As our office is Arunachal based and we ourselves come from this region we can offer you authentic tours with as much of background knowledge as you can ever wish. ARE YOU INTERESTED IN ETHNIC DIVERSITY? Have you ever seen pictures of the APATANI, the NYISHI, the MISHMI, the TAGIN, the GALLONG, the WANCHO, the MONPA and, and, and...? 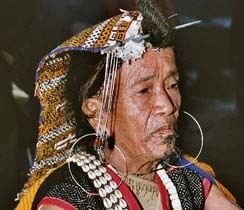 Alone these and several other tribes can be found in ARUNACHAL. And the traditional culture is still very much alive. 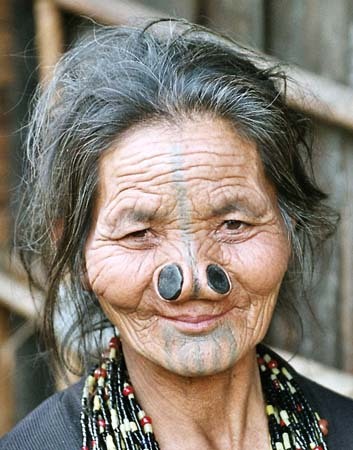 Or would you like to go to NAGALAND, where only a rather short time ago people were headhunters. 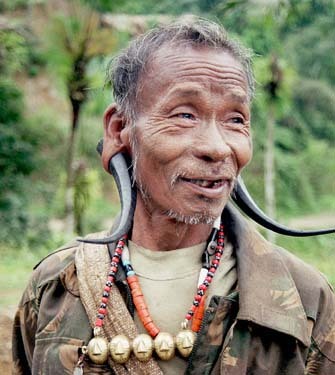 Even today you can still see Naga men who show all signs of a successful headhunter. You will not only be a tourist watching the people from outside. 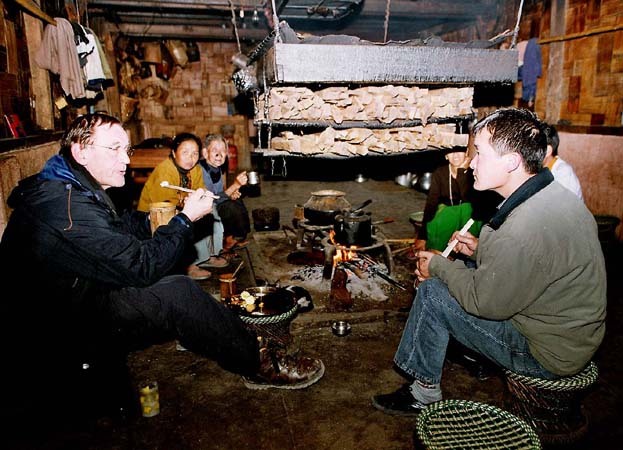 We will take you into the people´s homes, sit with them around their fireplaces, drink a jug of rice beer and get to know about their lives. People like to celebrate festivals and it is always a great event to take part in one of the festivals of the different tribes. If you want to take part in one of our festivals that are still celebrated with the traditional rituals and dances, check for the best time in our festival calendar. ARE YOU MAINLY INTERESTED IN BUDDHIST CULTURE? We will take you to the monasteries of DIRANG, BOMDILA and TAWANG, the biggest Tibetan monastery in India. Visit and learn about the century-old history of these Lamaist monasteries and take part in the ceremonies of the monks. 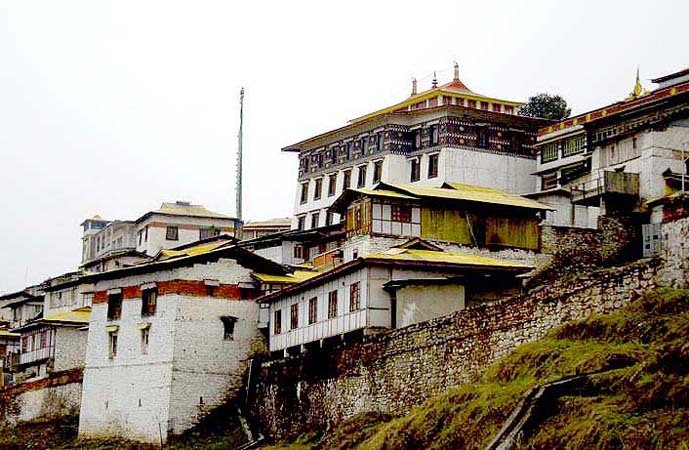 But we will not only take you to these great monasteries, you will also visit interesting nunneries in Tawang. DO YOU LIKE NATURE AND WANT TO WATCH WILDLIFE IN ARUNACHAL AND ASSAM? 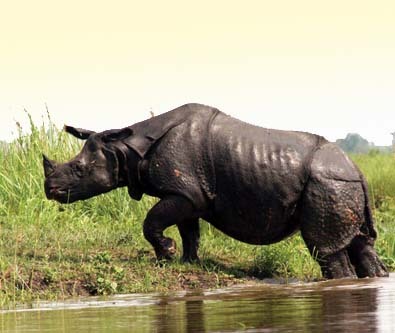 Go with us to KAZIRANGA, NAMERI and NAMDAPHA Wildlife Sanctuaries. Take a ride on an elephant and watch the Great Indian One-Horned Rhinoceros and a great variety of other species. Watch the majestic Hornbills and lots of other wild birds. And if you are lucky a leopard or even a tiger might cross our path. WE CAN OFFER YOU CUSTOMIZED TOURS OR YOU JUST CHOOSE ONE OF OUR TOUR PROGRAMMES!! See suggestions for some tours on top! JUST FEEL FREE TO CONTACT US AND WE WILL CERTAINLY ARRANGE A TOUR THAT WILL SATISFY YOUR WISHES. 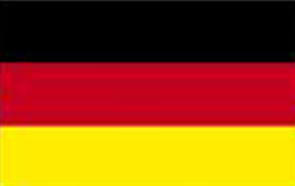 German speaking guests can find some German texts with pictures of tours in Arunachal guided by us.